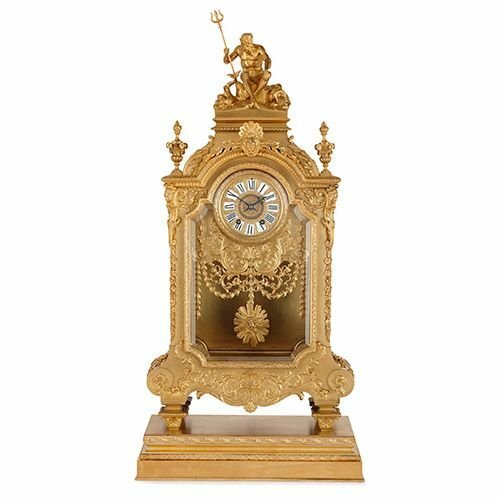 This large ormolu mantel clock is a majestic piece, created in collaboration between the bronzier Ferdinand Barbedienne and designer Louis-Constant Sevin. 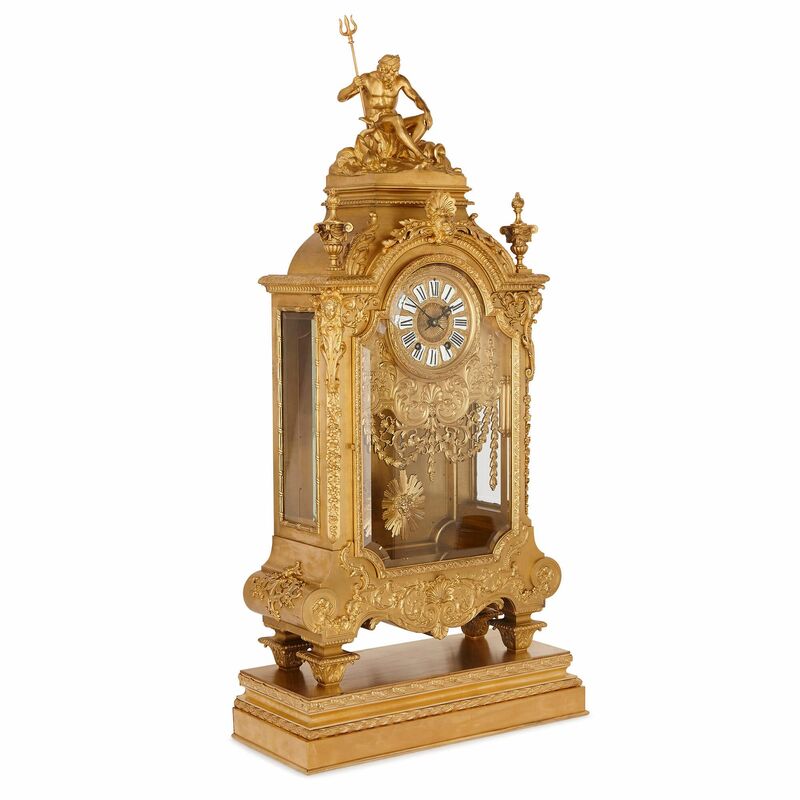 This elegant ormolu clock was made in the late 19th Century by Ferdinand Barbedienne, having been designed by Louis-Constant Sevin. Sevin was a major ornamentalist in the second half of the 19th Century, who worked at Barbedienne's renowned bronze foundry for 23 years from 1855. 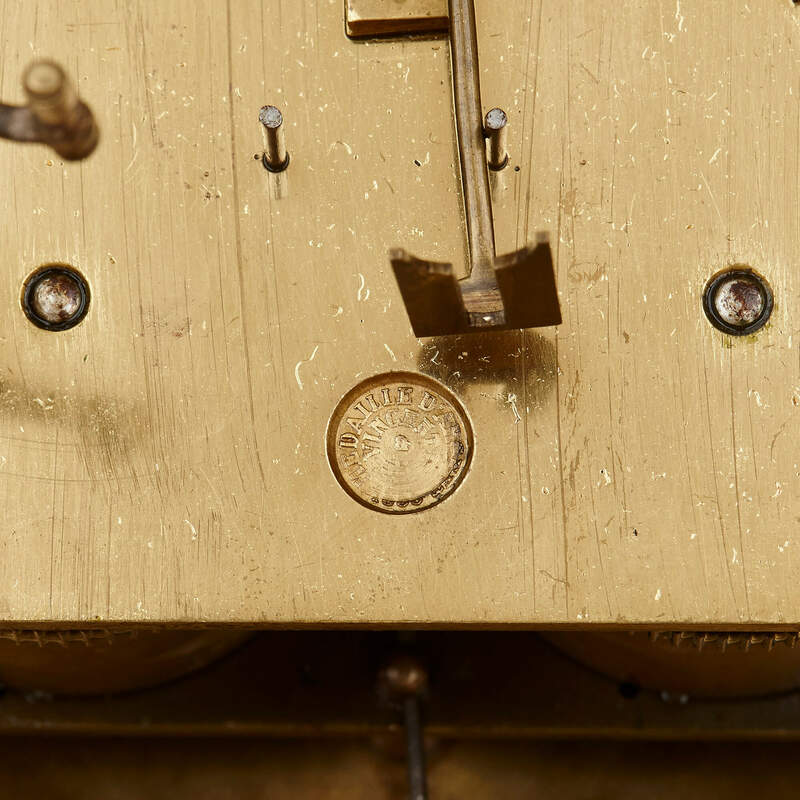 The clock is beautifully crafted, with a central circular dial set within an ormolu and glass case. This case is architectural in form, ornamented with scrolls, swags of foliage and masks in a Mannerist manner. 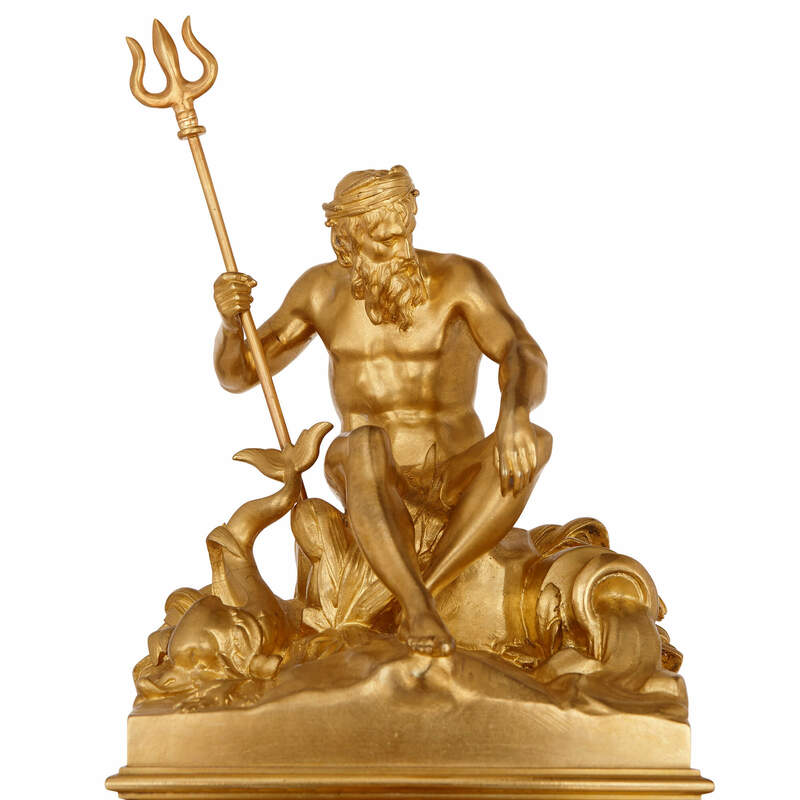 The piece is then crowned by the figure of Neptune, the God of the Sea, pictured holding his trident with sea creatures and waves at his feet. Directly beneath Neptune, conforming to a vertical axis, is a stylised lion's head, and lower still we see an Apollo sun-burst pendulum. 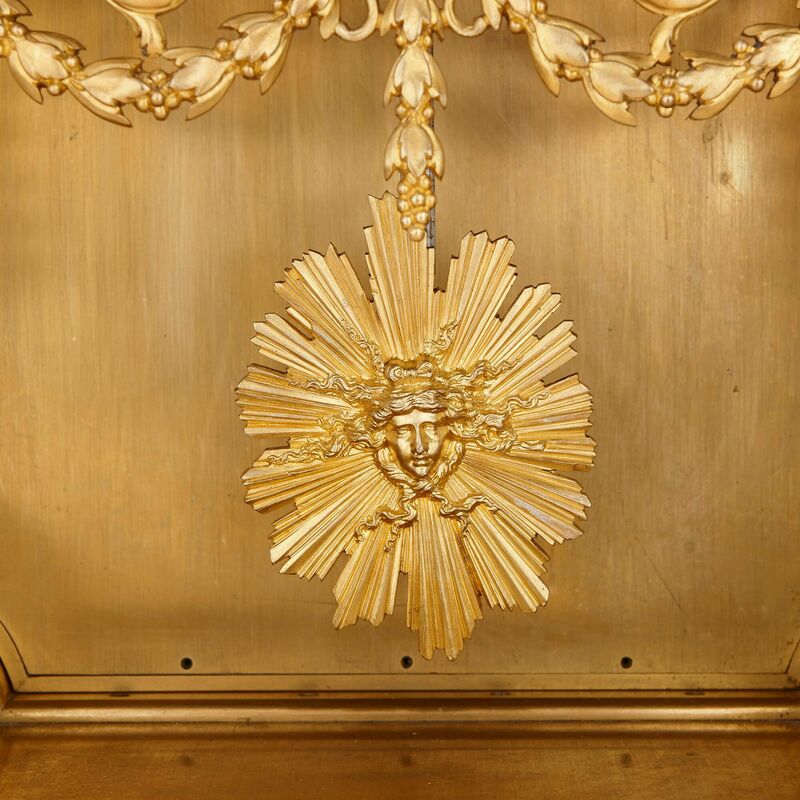 Surmounting the sides of the piece are two classical flaming urns, which mirror the heavy lower scrolls and help to give balance to the composition. 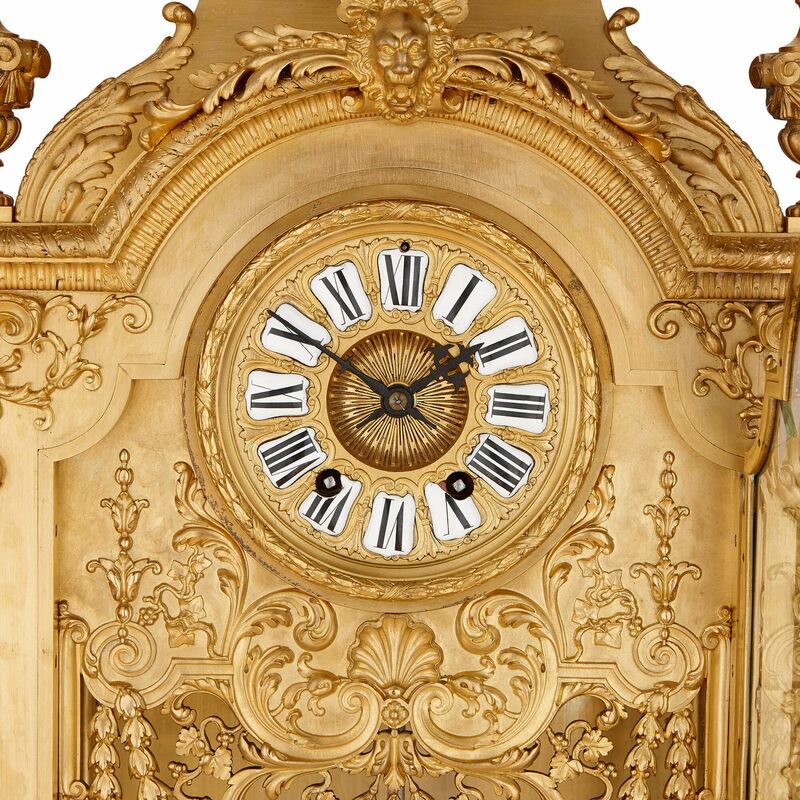 This clock is a truly exquisite work of craftsmanship that reveals Sevin's skill at envisioning a fashionable design and Barbedienne's ability to realise it, masterfully, in gilt bronze. The clock is signed on the side 'F. 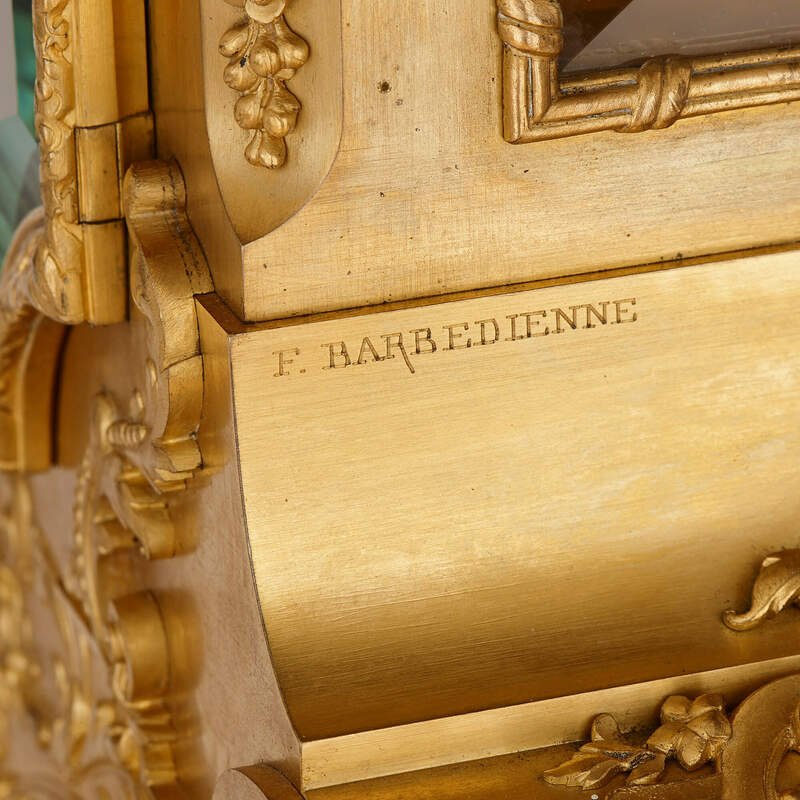 Barbedienne'.